You visit a store's website to buy a sci-fi movie. The website makes recommendations of other movies for you to purchase. The next day, you get a follow-up email recommending other similar movies, and even some similar books. Intrigued by one of the books on the list, you decide to buy it as well. All of those recommendations are powered by artificial intelligence. 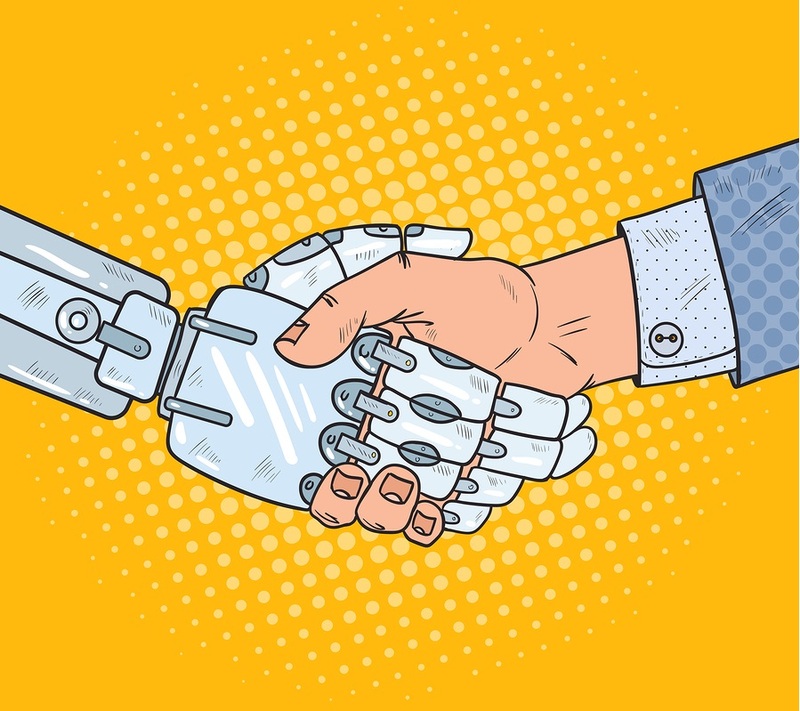 But even though you've probably experienced AI interactions as a customer, the majority of companies aren't integrating AI across their business. In fact, recent research done by the McKinsey Global Institute found that only 20% of surveyed companies said they had adopted AI and another 41% said they were uncertain of AI's benefits. 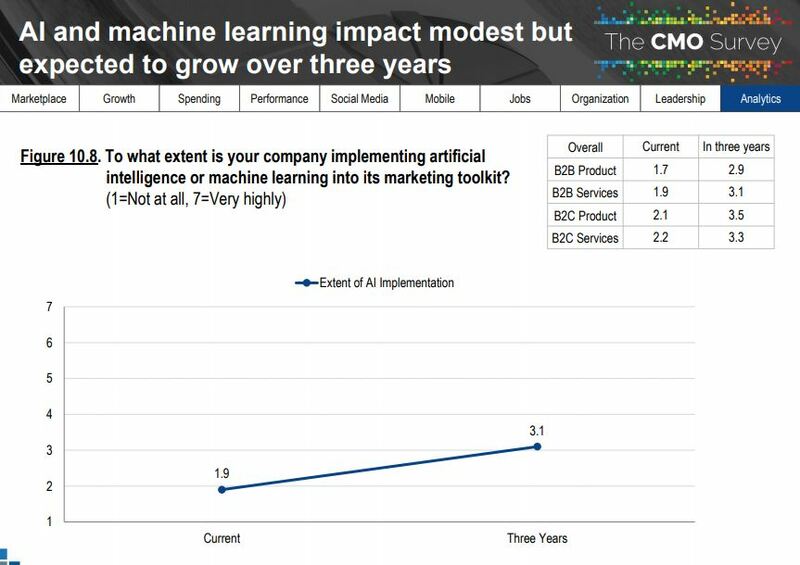 The 2018 CMO Survey found similar results with respondents rating the implementation of AI in their marketing toolkit as very low. 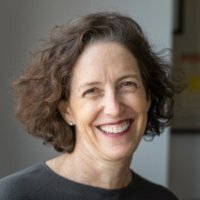 However, if we know AI can increase revenue because we ourselves have made purchases based on AI-driven recommendations—not to mention research like Forrester's 2018 report that found an estimated 30% growth for companies when using AI—then why aren't we adopting AI in our marketing strategies? Chances are the lack of adoption is related to AI's newness and the fact that many AI softwares and implementation techniques are still being developed. Of course, pop culture stereotypes about AI, like Skynet and Terminator probably don't help. Before we jump into what AI can do for CMOs, we first need to explore 2 key terms often used with AI: machine learning and deep learning. Both machine learning and deep learning AI can be used to do everything from producing automatic social media updates, to creating chatbots with the ability to answer nuanced questions, to analyzing big data about cross-channel and cross-device promotions. 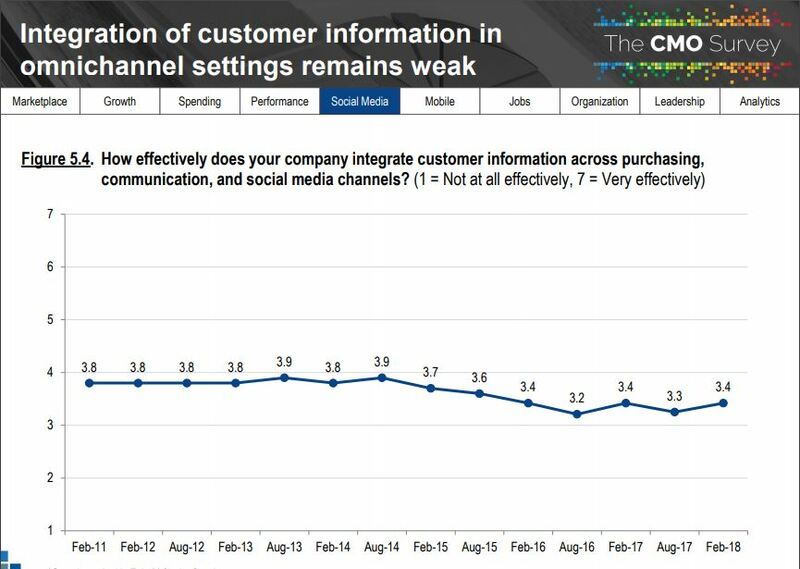 All these potential implementations of AI mean better integration of consumer information across channels, something the CMO Survey found to be currently lacking as shown in the image below. Deep learning is a more specific type of machine learning. The difference between the former and the latter is that deep learning software can process a wider range of data sources, requires less data processing by humans, and can produce more accurate results than traditional machine-learning. A good example of deep learning is how you can take a picture of a Nike tennis shoe, upload it to Google, and Google's deep learning software can identify the specific shoe and locate places for you to buy the shoe online. Even if your company isn't an artificial intelligence powerhouse like Google or Amazon, machine learning and deep learning should still be in your marketing toolkit. Perhaps the best way to start integrating AI into your company is by tailoring your marketing materials. AI can produce better targeted ads and identify where to find new customers more effectively than advertising to a broad audience. A great example of tailored advertising comes from a Harley-Davidson dealer in New York City as explained by the Harvard Business Review last year. After adopting AI software known as Albert which analyzed the success of online advertisements and the behavior of past customers in order to identify potential new customers, the dealership saw new sales leads increase by 2390%. Even if the Harley dealer anecdote is an outlier in terms of its growth percentage, evidence like it about the positive impact of AI on a firm's sales keep stacking up. Whether its boosting email-open rates by 35% or raising recommendation revenue by 20%, AI has been proven to increase the success of marketing strategies across industries. If you want to delve deeper into the relationship between CMOs and AI, check out our new webinar "The Rise of the Algorithmic CMO." In this webinar, I will discuss how AI and the use of algorithmic thinking is leading to the rise of a new breed of CMO with Amit Shah, the CMO of 1-800-flowers. Rise of The Algorithmic CMO is free and open to the public!